Nymphalis Jason butterflies are one of those interesting butterflies where their wings are dramatically different on each side. 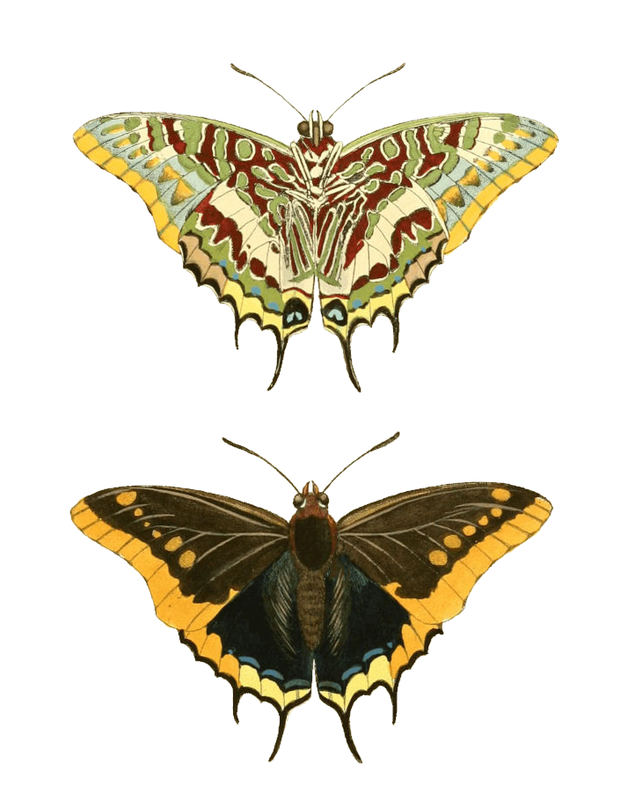 When their wings are closed, you’ll see the coloring in the top version of our vintage brown butterfly drawing. But, when they are open, they are deep brown and bright orange. They are fairly large – measuring 6.5 to 9 cm – with the females generally larger. The author of Illustrations of Exotic Entomology, Dru Drury identified by its original Linnaean name of Jason. It would appear that the name of these beautiful butterflies has changed since 1837 to Charaxes jasius or better known as the foxy emperor. I’ve used it here because anyone researching the original source would have a better chance of finding it that way. The colors in the drawing are slightly off from what we find in nature, but again, not sure that matters too much for our purposes. The underside of the wings are actually more grey than green. I’ll leave it up to someone else to research the name further. For our use, it’s a pretty brown and orange butterfly or a green, brown, beige and yellow butterfly. Enjoy!